I began my research into Special Counter Intelligence Units over 25 years ago, and was fortunate enough at that time to be able to correspond with several former X-2/OSS officers who had served in the American units in France. Work prevented me from finishing my research until now – though, in truth, I will probably never stop looking into this intriguing subject. In the following pages I will try to set out the history, role and organization of these units, though I will first give some background to the intelligence environment which helped create and develop them. 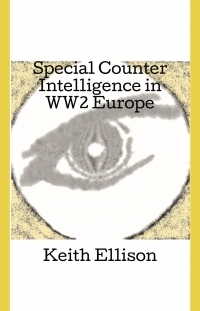 Special Counter Intelligence Units (SCIUs or SCI Units are terms also used throughout this book) were devised by MI6’s Section V, its Counter Espionage arm, in order to penetrate the enemy intelligence services in the Field. They were aided in this by MI6’s control of ULTRA, and in particular, a sub-set of decryptions known as ISOS and ISK, which will be defined further in the following chapters. MI6 had this control because the Government Code and Cypher School (GCCS) at Bletchley Park was subordinated to the Intelligence Service. Section V expanded rapidly from 1940, as the implications and possibilities became more apparent following the successful breaking of Abwehr ciphers. In addition to using cipher, the Germans also used service jargon and codenames for officers, agents, operations and equipment. Section V officers in neutral countries were able to confirm and help further interpret the deciphered messages. Once military operations were in planning for North Africa and Europe, MI6 recognized the need for a military field unit which could act on sensitive ISOS information and begin penetrating the GIS using both penetration agents and Controlled Enemy Agents (CEAs) – most of the latter being agents using wireless transmitter (W/T) sets for communication with their German handlers. It must be remembered when considering the actions of intelligence agencies - and the people who work for them - that each agency has it own goals and priorities. While Allied agencies can often work closely together towards a common goal, their own training and role will inject a degree of competition into any liaison relationship – even between agencies working for the same country. I was reminded of this important point when reading an excellent dissertation by Brett Lintott (“Confidence Men – The Mediterranean Double-Cross System, 1941-45”, Graduate Dept of History, University of Toronto, 2015). As A Force – a deception organization set up in 1940-41 by Col Dudley Clarke in Cairo – became more influential in military operations in that region, it began to dominate SIME (Security Intelligence Middle East – the local Security Agency) in prioritizing the use of double agents and CEAs. As a consequence, when operations expanded into Italy, they expected the SCI officers to likewise give way – which, thanks to A Force’s control of the Deception Committees, was mainly the case. But the SCIU was primarily a penetration organization, not simply a means for deception. In Western Europe, where it was decided early on that CEAs could be used only for tactical deception, there was more scope for the SCIUs to operate in their true roles. It was ironic, therefore, that the “senior” British SCI Units (104 and 106 SCIUs), mostly staffed with MI5 officers, were more interested in deception than penetration, and their roles were curtailed by the arbitrary decision of SHAEF G Ops B Sub-Section to restrict deception operations to non-continental double agents/controlled enemy agents (DAs/CEAs). The following lists explain items which have occasionally been mentioned or duplicated in the text, but are given here as a quick reference guide. First is a list of MI6 code numbers used to delineate MI6 representatives in Stations abroad, and the countries where they were situated, as given by the UK’s National Archives website and in the book “Triplex”, by Nigel West and Oleg Tsarov, (Yale University Press, 2009). Next is a List of Specialist Terms, Codenames and Abbreviations; After this is a list of Codenames of Military Operations and Deception Plans. Finally there is a short Note on References and Sources. I have tried to keep this work concise and to concentrate as much as possible on the organization, personnel and casework of the SI(b) and SCI Units as they developed. Their evolution into CCUs and SSU/X-2 in the post-war period is mentioned, but solely to show that these units continued, even after their initial mission, the penetration and destruction of the GIS, was completed, and to give some indication of their new targets. I identified almost nothing in the published archives which covered SI(b)/SCI Units in Greece, except a reference to SILO (Security Intelligence Liaison Office, a subordinate office of SIME, based in Bari) using SI(b) as cover for deployment into Greece. I have therefore not addressed GIS or Allied activity there, except where the GIS used Athens as a base for operations into the Middle East. implementing deception in the Mediterranean theatre. from March to December 1944. Abt I/II/III Abteilung. Each a section of the Abwehr responsible for espionage (I), sabotage (II), and counter-espionage (III), respectively. The espionage service of the Oberkommando der Wehrmacht (OKW). Amt VI Foreign intelligence office of the RSHA. AMZON American zone of Germany. B Branch/B Division The counter-intelligence section of MI5. B1a Double agent section of MI5 B Division. B1b ISOS analysis section of MI5 B Division. B Section Counter-intelligence section of ISLD. Gaullist intelligence and operational services to 1944. Bletchley Park SIGINT organization (see GCCS) controlled by MI6. BMA Bureau des Menées Anti-Nationales, Vichy Military CI. Broadway British Intelligence (MI6 Headquarters). BRONZE 102 SCIU with 1st Canadian Army. BSM Bureau de Sécurité Militaire, Military Security. C The head of MI6, also CSS. up the credibility of a double agent. CICI Combined Intelligence Centre Iraq. CRUSADE Codename for MI6(V) at Ryder St, London. D Measure Order to execute someone immediately. BCRA and French traditional service. DMI Director of Military Intelligence. DMO Director of Military Operations. representatives in British overseas possessions, and some neutral states. ECHO Codename of an X-2/SCI officer, possible Eugene Waith. ELI Codename of an X-2/SCI officer, possible Eugene Waith. ETO European Theater of Operations. ETOUSA European Theater of Operations US Army. are subordinate to a FAK. Formerly Abwehrtruppen. analysis section of the General Staff of the German Army, with responsibility for the Eastern Front. analysis section of the General Staff of the German Army, with responsibility for all European fronts other than the Eastern Front. G-2/GSI I Military Intelligence staff (US/British). GALVESTON Codename for Dudley Clarke, head of A Force. Sometimes used to denote the organization as a whole. GCCS Government Code and Cypher School, aka Bletchley Park. GHQ General Headquarters. Middle East. Based in Cairo. I(b) British Military Staff for CI matters. Air force (I L), and naval intelligence (I M), respectively. of ISOS whose distribution was restricted by Lt Col Cowgill, MI6(V). in the Mediterranean and Middle East. intelligence product derived from breaking Abwehr machine ciphers. derived from breaking Abwehr hand ciphers. JE-Land X-2 codename for USSR. replaced AST and KO organizations. co-ordinating all strategic deception in the European theatre. French volunteers in the Waffen SS. MEDTO Mediterranean Theater of Operations. METO Middle East Theater of Operations. intelligence in Britain and in British overseas possessions. Mil Amt Militärisches Amt; in June 1944, Abwehr I and II were merged together and became the Militärisches Amt (or Mil Amt) of Walter Schellenberg's SD. Milice Milice Franҫais, fascist police force in Vichy France. MIS US Military Intelligence Service. NATO North African Theater of Operations. NATOUSA North African Theater of Operations, U.S. Army. NEST Nebenstelle, Sub-Office or –Branch. but which are, in fact, fake. PC Poste de Commandement, command post. party, headed by Jacques Doriot. R&A Research and Analysis Division, OSS. RAB Radio Analysis Bureau, also known as Section Vw of MI6. Responsible for analyzing the Abwehr radio network and decrypted Abwehr communications. R Force Deception Organization under 21AG, similar to A Force in the Middle East. RG Renseignements Généraux, Police intelligence agency. functions as RAB within MI6. encompassing a number of organizations, such as the Gestapo and the SD. gathering within a major target city. counter-Intelligence; cable designation for X-2 HQs London, Paris, Washington. SAVAGE Codename for 1st British Army SCIU. to Army Groups and armies (also SI(b), SCI, SCI/Z, and SCI/A). Nazi Party. Part of the RSHA after 1939. Section V MI6 Counter-Espionage Section; MI6(V), MI6 Section 5. SHAEF Supreme Headquarters Allied Expeditionary Force. Command of Allied forces in North-West Europe. Intelligence Units (name changed to SCIU in March 1944). intelligence service created by dissident SIM officers. SIM Servizio Informazioni Militari. Italian military intelligence. SIM/CS Italian Military Intelligence/Counter Espionage branch. and counter-intelligence in the zone under the command of General Headquarters. Middle East. security and CE until the end of 1944.
designed to engage in espionage and sabotage in occupied Europe, and to aid resistance groups. agents used for deception operations. Special Section Double agent section of SIME. SSM Service de Sécurité Militaire, Military Security Service. within the French 2nd Bureau. Keith Ellison is accepting feedback on this chapter.